As it has been used before, it can be used without any problem. This review is about item#2294187. I am using it for finishing work after milling work. Very eyes fine, finished clean. 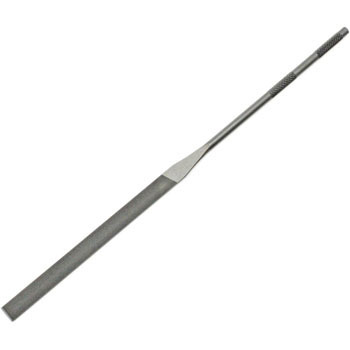 It is easy to use for machining deburring in machining, milling and lathes. Although it is originally for metal processing, it can be used for processing of plastics without problems, and eyes are handy fine as well, but they are also useful. This review is about item#2294336. I use it for deburring of the key I made. The new file is very good. The way Bali falls is different. However, if you wish for hope, it would be greatly appreciated if you attach a vinyl sack to the handle of the handle. This review is about item#02294187. Although it was originally used, this oil eye is not sold at ordinary Homsen etc. It is very cheap here because it is also priceless. I think that repeat will be surely here. This review is about item#02294223.